Queensland's reputation for being a paradise for sunshine lovers, surfers, shoppers and holiday-makers has long been established – between The Gold Coast’s pristine beaches and Brisbane CBD’s cosmopolitan flair, all elements of The Australian Dream are ticked off. Queensland's reputation for being a paradise for sunshine lovers, surfers, shoppers and holiday-makers has long been established. Between Gold Coast’s pristine beaches and Brisbane CBD’s cosmopolitan flair, all elements of The Australian Dream are ticked off. So it comes as no surprise that as Sydney’s housing prices soar and Melbourne’s market faces hot demand and fierce competition, buyers are turning their sights to the sunny state of Queensland. "Sydney house prices are nearly double those in the other capital cities and job creation in Queensland is on the rise," a spokesperson from Macquarie Bank commented. More Australians are moving to Queensland than ever before*, many trading in their previous homes for more luxurious and yet more affordable apartments. The new multi-residential developments making this lifestyle upgrade possible are well positioned, beautifully designed and boast a range of amenities that rival 5-star hotels. 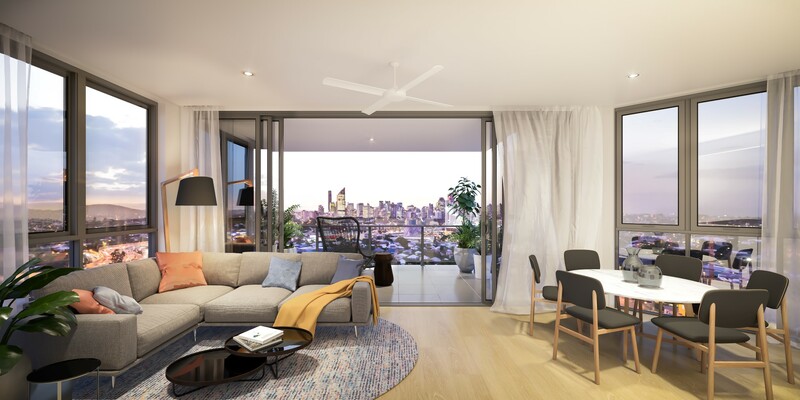 Explore some of the latest Gold Coast and Brisbane apartment developments causing excitement among the Queensland population and the eager-to-migrate Melburnians and Sydneysiders in search of greener grass. This new development is proudly positioned in Woolloongabba, just a 7 minute drive from Brisbane CBD. The one and two bedroom apartments enjoy sweeping city and parkland views, a breathtaking backdrop for the luxury lifestyle Park Central One offers within. Residents will have exclusive access to a private rooftop terrace overlooking the Gabba lights – the perfect place to relax in a sanctuary of solitude. Find out more or enquire about Park Central One. Mary Lane epitomises the urban, sophisticated lifestyle. Located in the heart of Brisbane, the apartments benefit from interior design that is both elegant and modern, with a balanced blend of form and function. 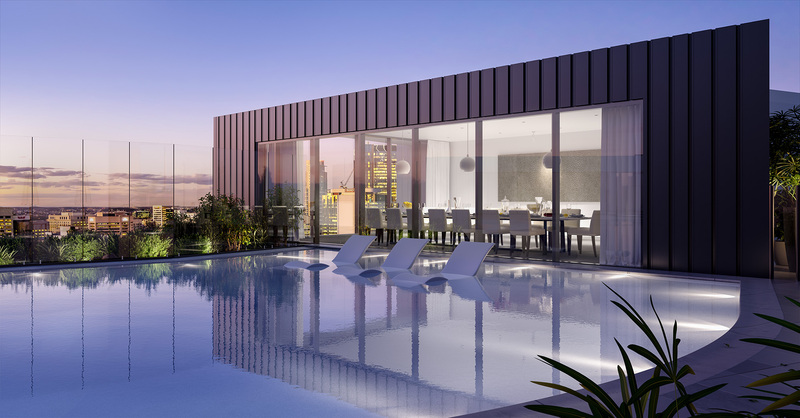 Residents will enjoy luxuries outside their own apartment including services from The Westin Brisbane below and the inner-city haven that is Mary Lane’s private rooftop. Find out more or enquire about Mary Lane. Aston Residences features a collection of just nine homes in quiet Bank Street in West End. Designed by renowned architect Bureau Proberts for quality and luxury, the apartments have been artfully composed with consideration for the separation between social and private spaces. Beyond the well-crafted apartments, the development also features a heated swimming pool and a private rooftop for a lifestyle that’s a cut above. 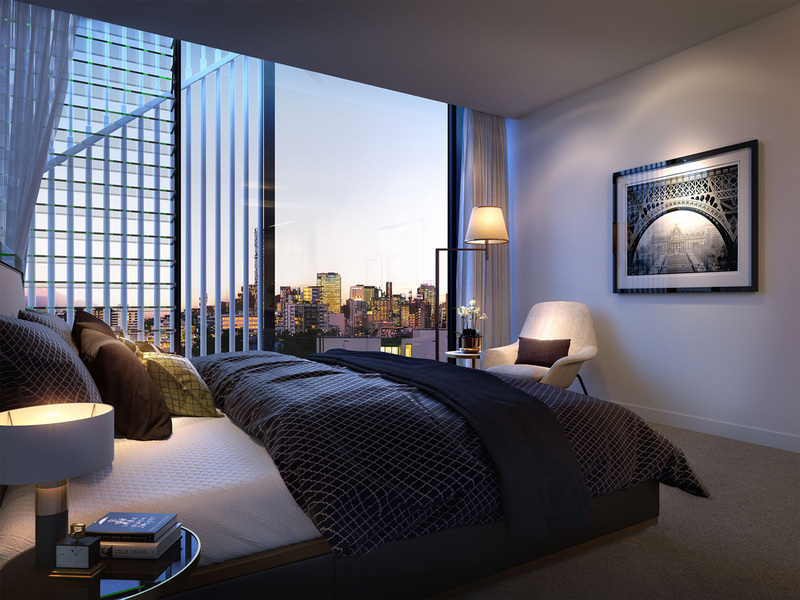 Find out more or enquire about Aston Residences. 443 Queen Street is a groundbreaking design born out of an Architectus and Woha collaboration, standing tall in Brisbane CBD’s most coveted riverside location. 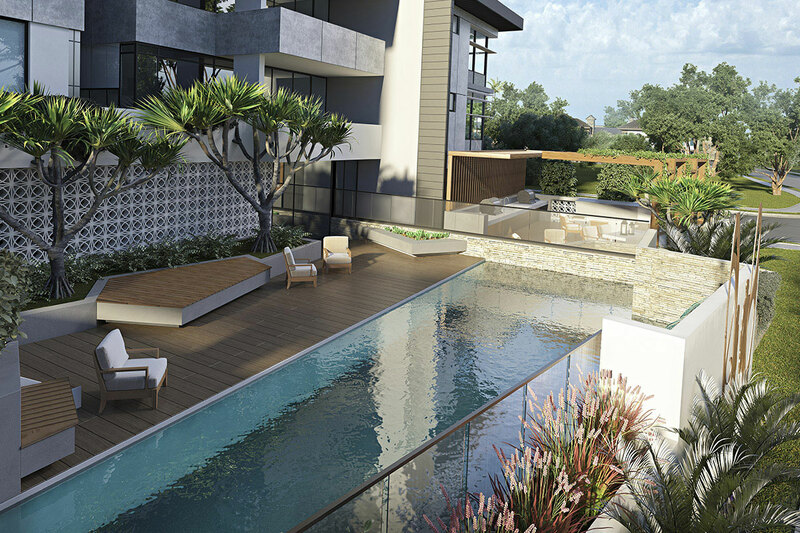 With one, two, three and four bedroom apartments to choose from, the development is attracting a range of buyers who have no doubt fallen in love with the full floor recreation deck, complete with a riverside infinity pool, gym, dining room and cabana lounges. Find out more or enquire about 443 Queen Street. 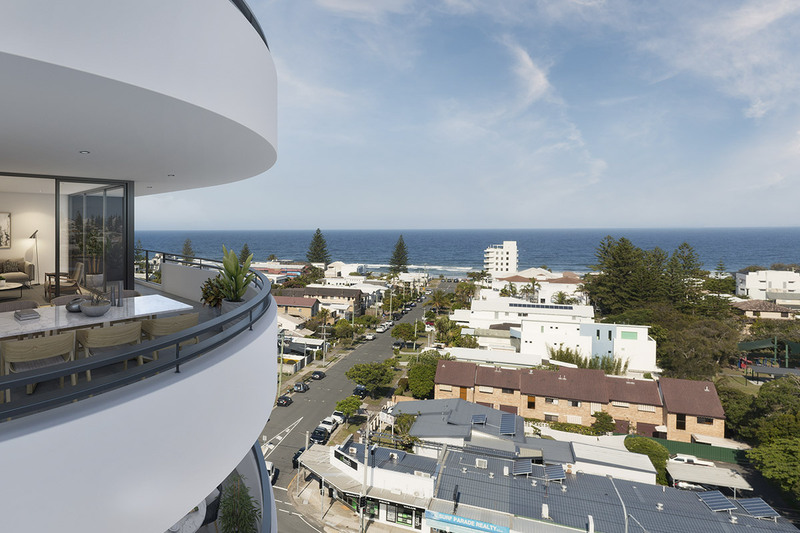 Zinc’s boutique collection of 73 apartments is nestled in the premium beachfront destination of Kirra. The one and two bedroom apartments are ideal for beach lovers and surf enthusiasts, with the sand and sea just 200m away. Residents will wake up every morning to a beautifully-crafted, light-filled apartment filled that welcomes refreshing ocean breezes. Find out more or enquire about Zinc. Offering the best of beach and urban living, OTTO is a curated collection of two and three bedroom luxury apartments in Mermaid Beach. With enviable proximity to the waves and Broadbeach’s bustling dining and entertainment hub, OTTO is perfect for those looking to split their time between relaxing in the sun and enjoying a night on the town. Find out more or enquire about OTTO. Browse all of our off the plan apartments in Queensland here. *Latest net interstate migration figures sourced from the ABS publication 3101 show Queensland recorded the highest growth rate in net interstate migrants, up 7% on the previous 12 months to March 2016.